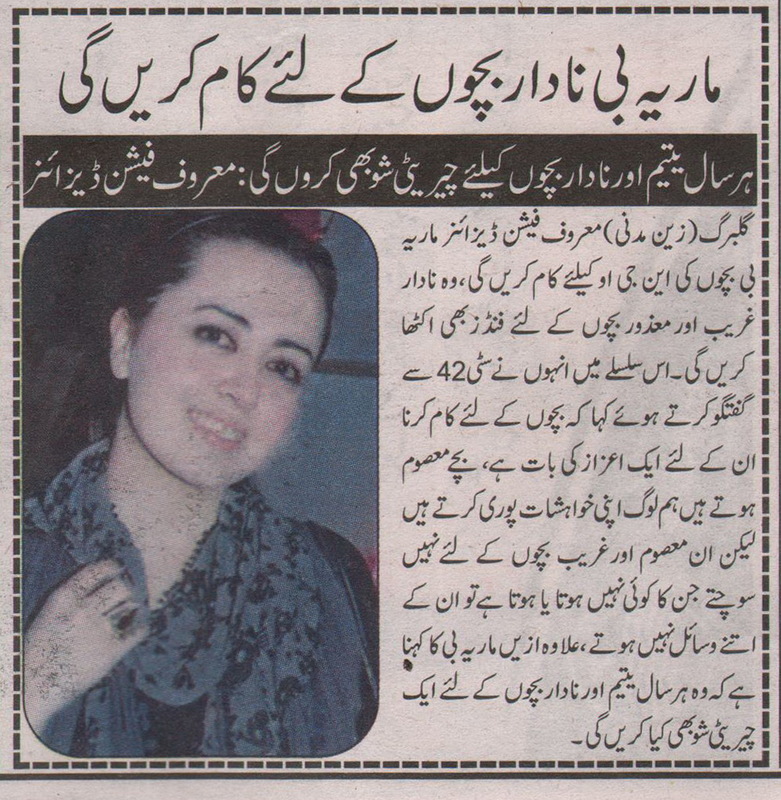 This entry was posted in Maria B on January 25, 2015 by admin. 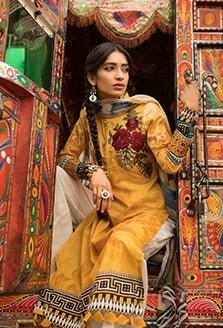 The Sunday magazine of the leading English language broadsheet featured an image of media personality Urwa Hocane wearing MARIA.B. 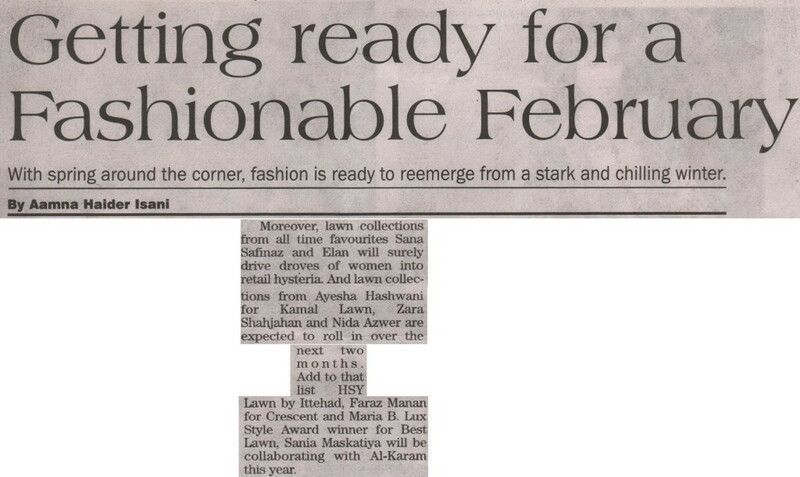 in BCW 2014 in a Trend Report on skirts. 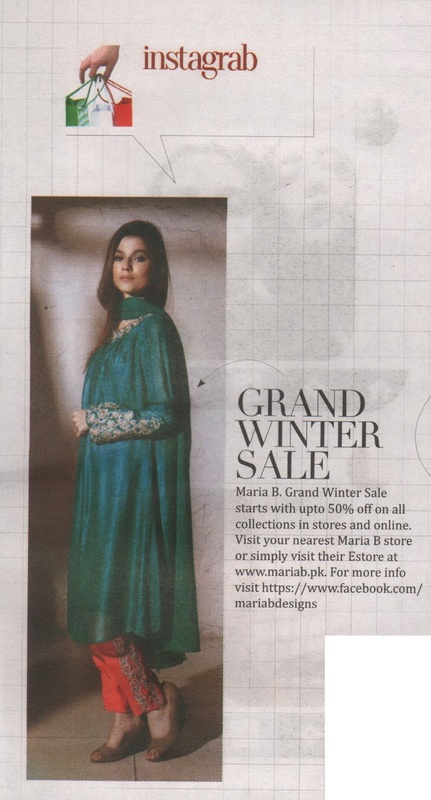 The Life and Style section of the leading English language broadsheet published the official photo-shoot of the MARIA.B. 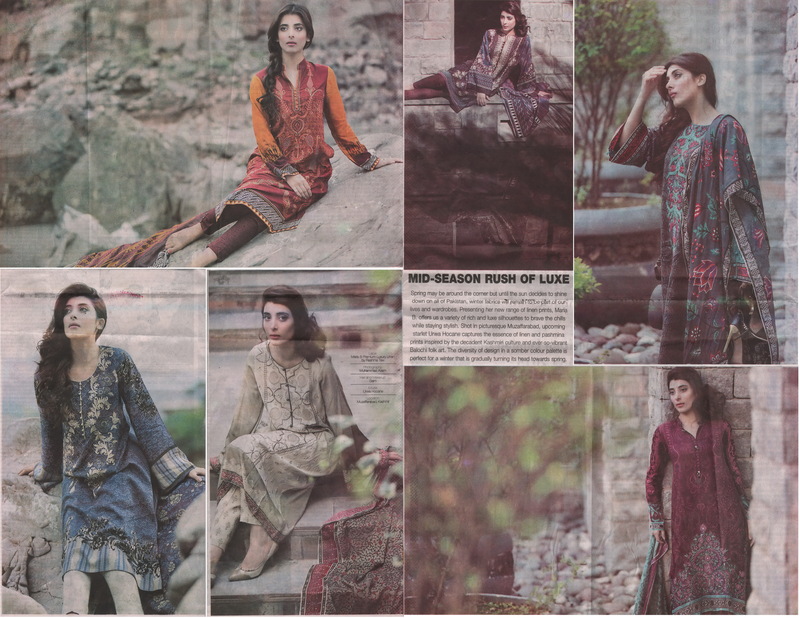 Premium Luxury Linen 2015 collection in a 2 page spread. 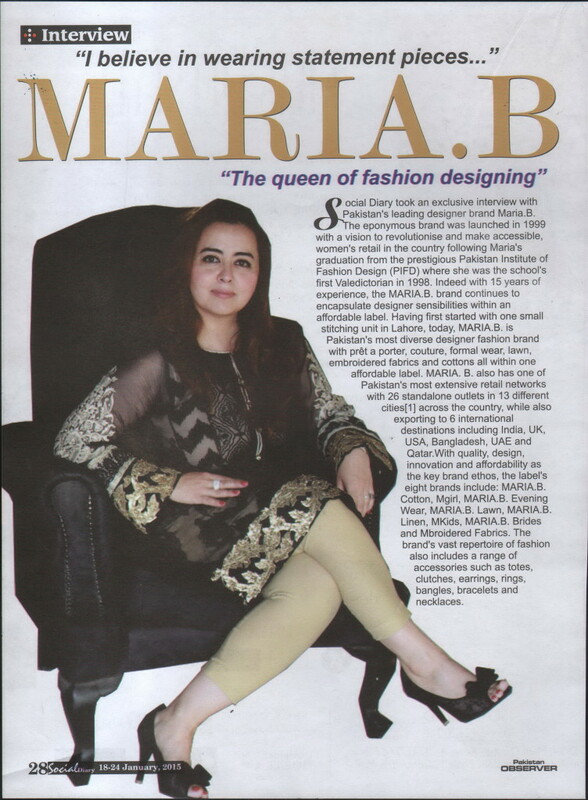 The Life and Style section of the leading English language broadsheet featured MARIA.B. in a fashion piece on Lawn and spring fashion. The Sunday magazine of the leading English language broadsheet featured MARIA.B.’s Winter Sale in its Instagrab section. 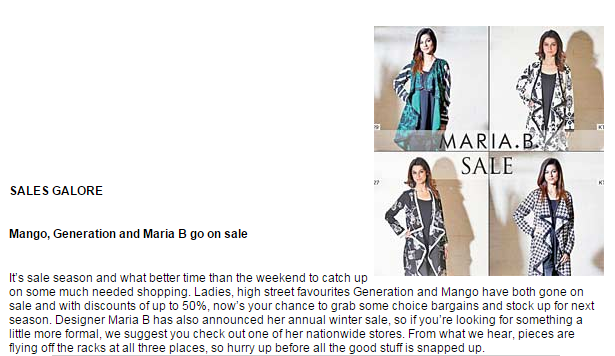 This entry was posted in Maria B on January 23, 2015 by admin. 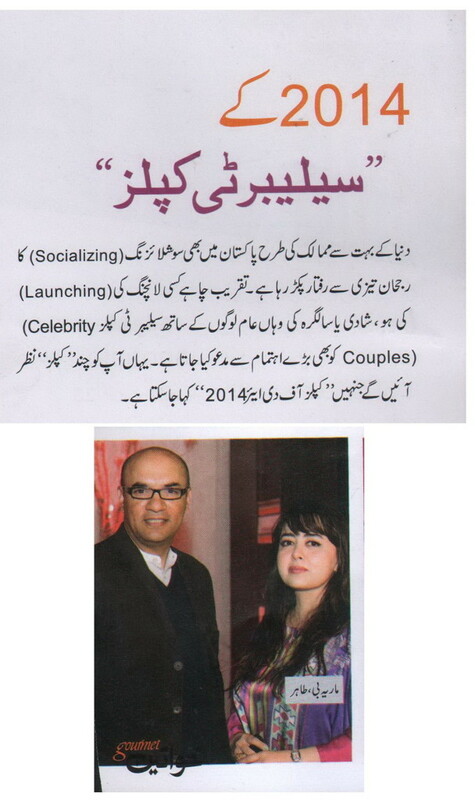 The monthly Urdu language fashion, entertainment and lifestyle magazine featured designer Maria B. in a feature on 2014’s Celebrity Couples. The monthly fashion, entertainment and lifestyle magazine featured images from designer MARIA.B.’s showcase at BCW2014 in its event coverage of the bridal fashion platform. The Sunday magazine of the leading English language broadsheet featured a 3 page interview / feature on designer MARIA.B. This entry was posted in Maria B on January 16, 2015 by admin. The website of the leading English language broadsheet featured MARIA.B.’s sale promotion in its Weekend Watch section. 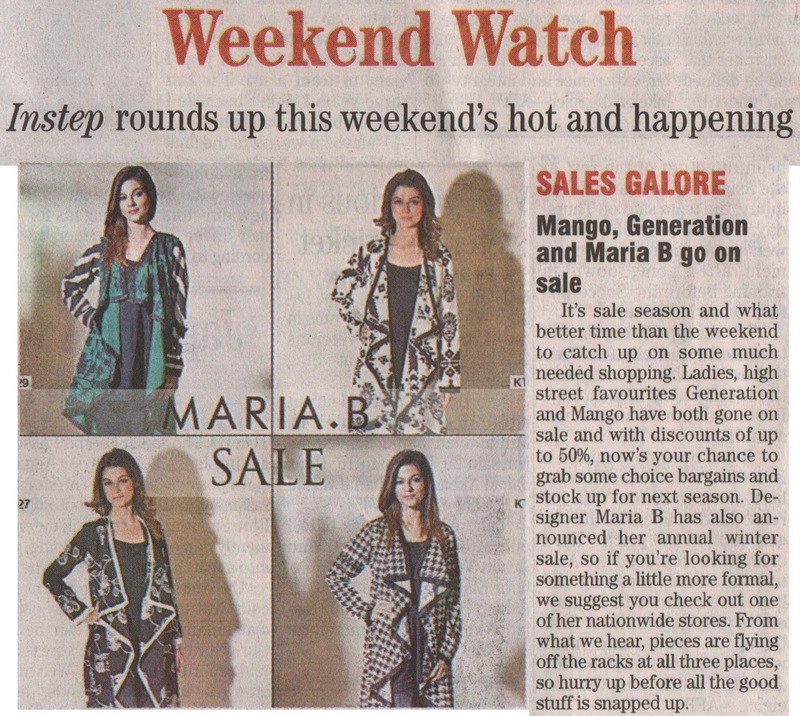 The Life and Style section of the leading English language broadsheet featured MARIA.B.’s sale promotion in its Weekend Watch section. 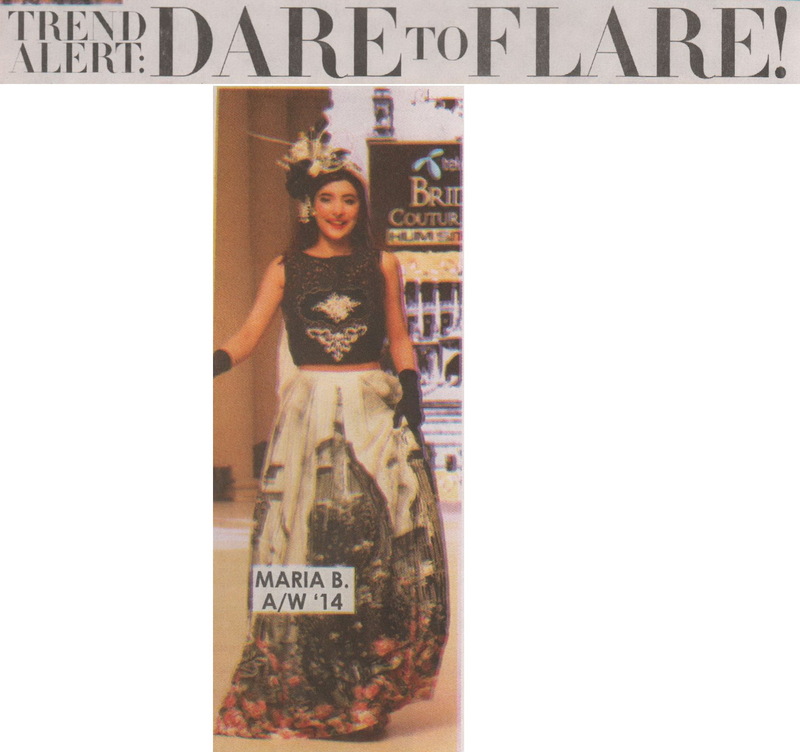 This entry was posted in Maria B on January 13, 2015 by admin. The Urdu language broadsheet featured designer MARIA.B. 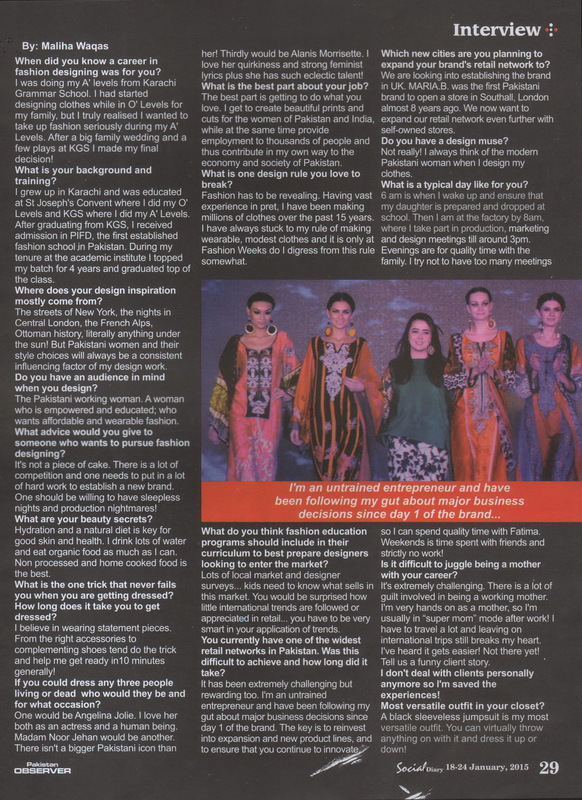 in a piece on the designer’s charity and social work.